If this blog were a child, any competent authority would take away my custody for gross neglect. I’ve fallen dreadfully behind in the update department with nothing to blame but procrastination. On the bright side, it’s safe to say that the primary objective of my sabbatical, to at least temporarily exchange my hard-pressing entrepreneurial ways for a mellower, more relaxed pace of life, has clearly been achieved. With many apologies to my readers, in consideration of your time and mine this post will serve only as a high-level summary of the last 4 months of my travel in South America. In those 4 months I visited 5 South American countries, Chile, Bolivia, Peru, Colombia and Ecuador, and though each certainly deserves it own blog post I can only afford it a section. Before we dive in, you may notice that the “we” pronoun used in most of the previous Chasing Summer posts has been replaced by “I.” Since the last post about our travels through Argentina, Lauren and I have sadly parted ways. Though the details of our breakup are beyond the scope of this blog, I can say that we still care about each other deeply and remain close friends. She is now living and working in Los Angeles, California. 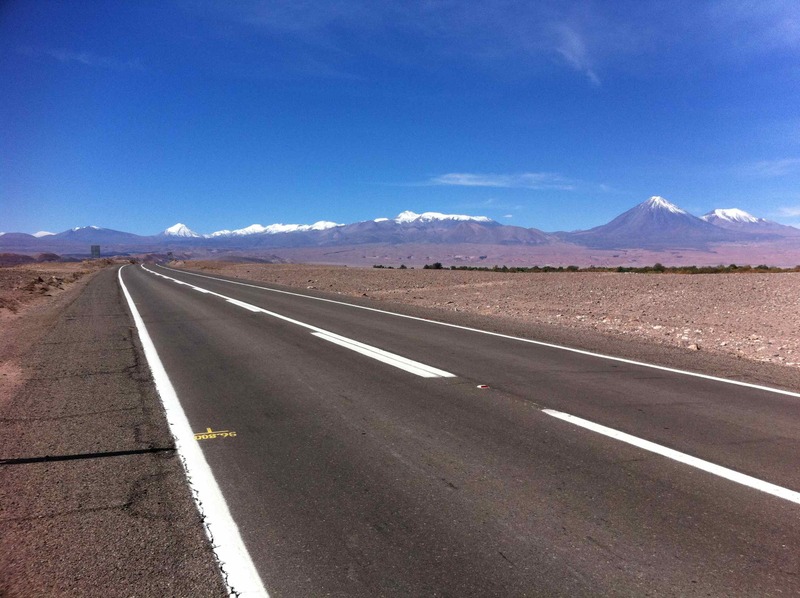 Leaving Salta, Argentina, I crossed the border into Chile, arriving in a small, dusty town called San Pedro de Atacama. 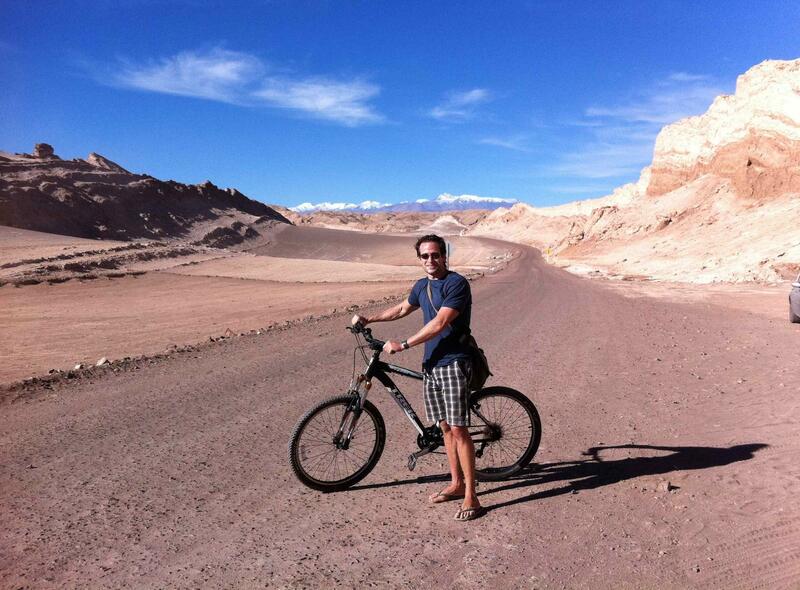 San Pedro’s claim to fame is the Atacama desert that surrounds it — the driest desert in the world. I only spent a few days in San Pedro and the country of Chile for that matter, as I was using San Pedro mostly as a transit point to Bolivia. There isn’t much to do in San Pedro town — the main attraction is the nearby Valle de la Luna (Moon Valley) National Park that resides a few kilometers outside of its limits. I still enjoyed my brief time there and would recommend San Pedro to fellow travelers. 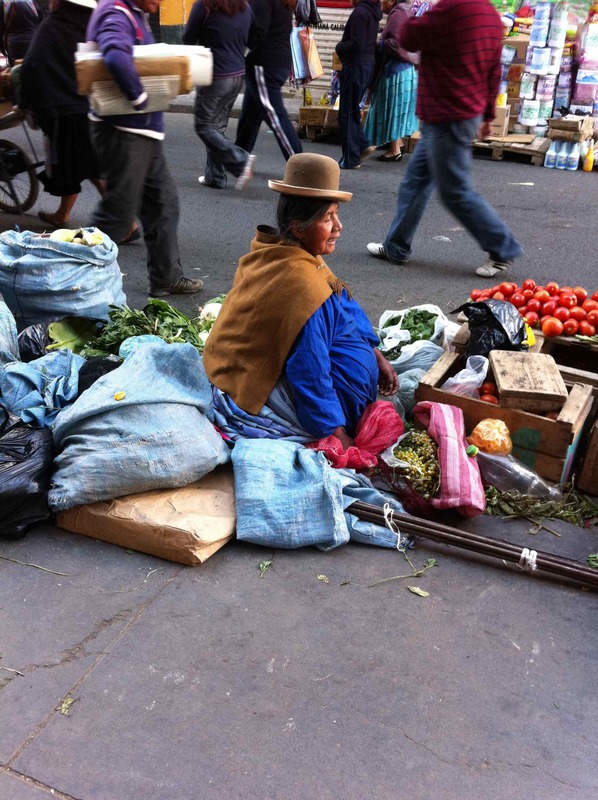 Bolivia is a country that epitomizes South American adventure travel. It’s the least developed country in the region which makes it rougher, less regulated, and dirt cheap. It’s also blessed with several natural wonders to reward adventurous travelers who are willing to forgo first-world comforts for long enough to visit them. 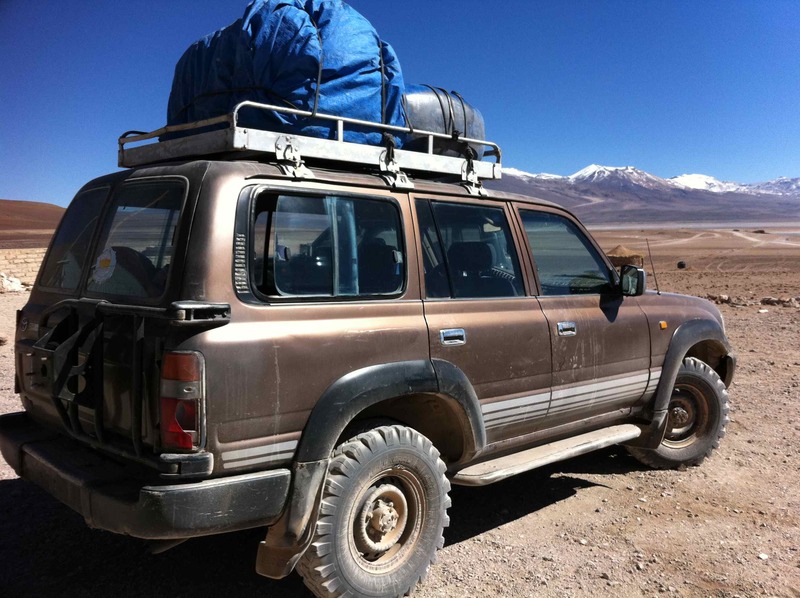 I crossed the border from Chile to Bolivia in a 4×4 Toyota Land Cruiser, one of the few automobiles which can handle the rough terrain of the Bolivian altiplano (“high plain” in Spanish.) 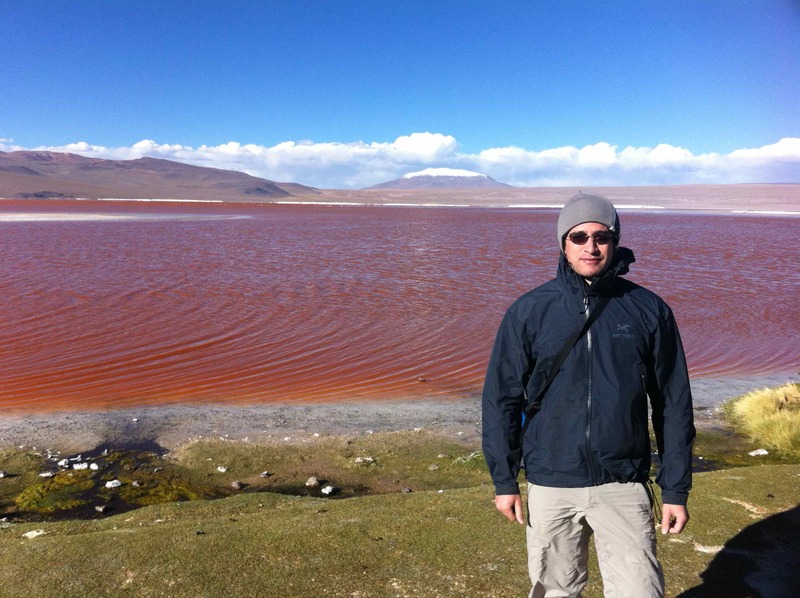 I was on a 3 day, 2 night trek to Uyuni, a small Bolivian town which sits on the edge of the famous Bolivian salt flats. 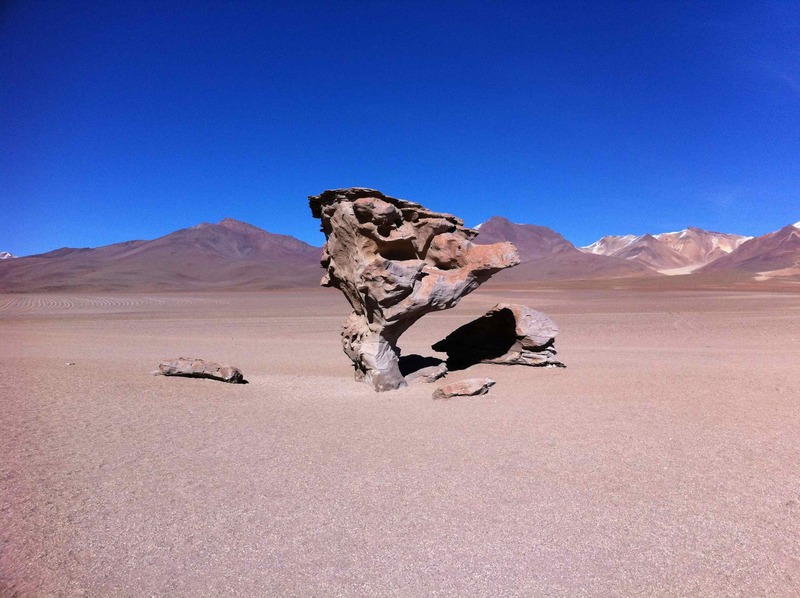 The trek was mostly through the Eduardo Avaroa National Park, a surreal landscape of impossible rock formations and lagoons of every color imaginable. It felt like being in a Salvador Dali painting. Much of the national park is at an altitude of over 15,000 feet, which makes the air thin and ice cold despite the park’s latitude well within the Tropic of Capricorn. 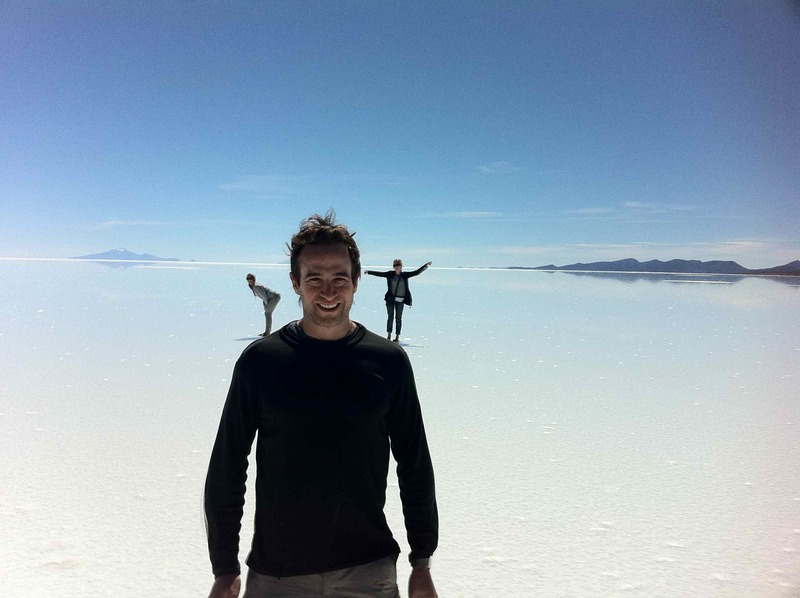 After 3 days in the middle-of-nowhere I finally arrived to Uyuni and visited the world’s largest salt flats, over 4,000 square miles of flat white nothingness. Like most of the tourists there, I couldn’t resist the temptation of taking some “perspective illusion” photos, taking advantage of the disorienting nature of a horizon that goes to infinity. Words really can’t do justice to the national park and salt flats so I’ll post plenty of photos. Though not quite as rugged as Bolivia, traveling through Peru also defines “adventure travel.” The Incan ruins of Macchu Picchu are Peru’s most famous tourist attraction, but there are many more places to see there and fortunately I had enough time to explore quite a few of them. I entered Peru overland from Bolivia, arriving in Puno on the Peruvian side of Lake Titicaca, the highest lake in the world. 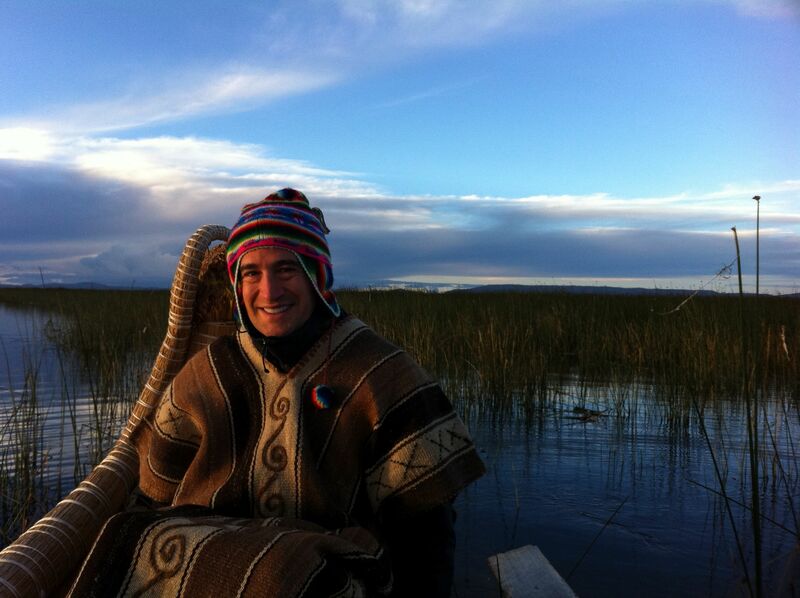 The lake itself is beautiful, much more than I was expecting, but what made my time in Puno special was an overnight stay on the manmade floating reed island of some Los Uros natives-turned-tourist-hosts. 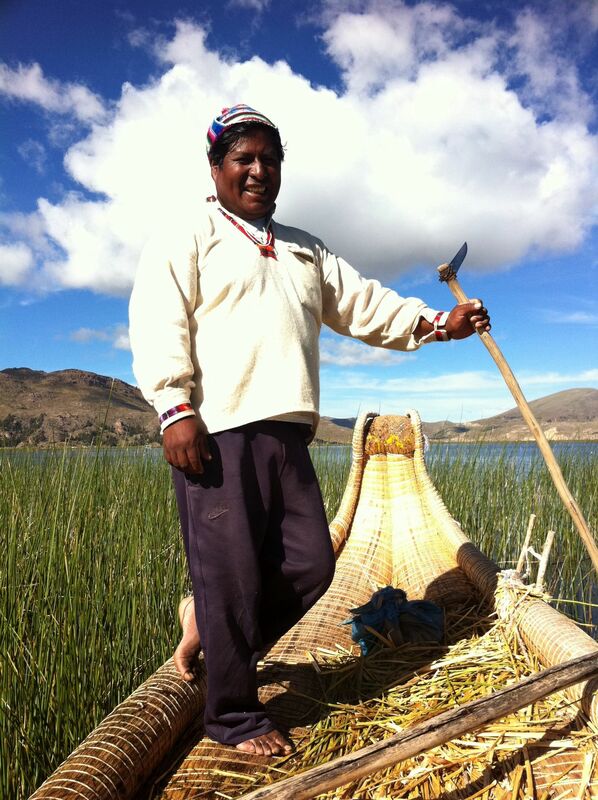 The Uros have an interesting story, told to me in heavily-accented Spanish by my “host dad” (his first language is Aymara) and worth recounting. Their ancestors had been living on Lake Titicaca for thousands of years, long before the arrival of the Spanish conquistadores. They lived on reed boats, which allowed them to move around the lake freely to avoid conflicts with other tribes and find food. Their expert navigational skills came in handy when the Spaniards arrived, allowing then to avoid capture and slaughter. Their culture thus remained intact well after the colonialists had either killed or assimilated their native cousins. Once the worst of colonialization had passed they lived peacefully back on land, until the 1960’s when the Peruvian government started to confiscate their land (they were illegal squatters) for mineral exploration and mining. Again their seafaring skills, which had been passed from generation to generation, came in handy. However this time instead of making reeds boats they made semi-permanent floating reed islands, allowing less mobility but much more space and comfort. They’ve been living on the reed islands ever since, surviving on wild ducks and fish and trading excess duck and fish meat at market for potatoes, vegetables, etc. In recent years, however, over-fishing and environmental changes have forced them to find other sources of sustenance… like tourists. They don’t eat us but do host us on their islands. Most folks just visit them for a few hours during the day and tend to leave with a bad taste in the mouth as the experience can feel quite staged and unauthentic. Fortunately I was advised by a fellow travel to spend a full day and night on the island of a host family, which gave me a much deeper understanding of their history, culture, and way of life. It was a fantastic experience. Leaving the Los Uros islands and Puno I bused my way to Arequipa, the second-largest city in Peru. The city has beautiful colonial architecture, tasty food (especially if you like roasted guinea pig) and fun downhill biking at nearby volcanoes, but the highlight of my week there was a few days and nights spent trekking in the remote Colca Canyon. The Colca Canyon is the deepest in the world, and due to it’s inaccessibility the people who live there have barely changed their way of life in the past hundred years. They only got electricity 3 years ago and the idea of cable TV, landline phones or high-speed Internet there is laughable. The village elders still speak the ancient Incan language of Quechua although the younger generation also speaks excellent Spanish. There are two villages in the Colca Canyon, and the only way to access either is an exhausting hike or mule ride down the steep canyon rim. I’m a fit guy and it took me 2 sweaty hours, although my guide said the little kids who live in the villages hike up and down the rim to school every day in around 45 minutes. Then again maybe he just said that to keep my ego in check. The scenery in the canyon is beautiful, with colorful layers of soil showing the way to a green river below, but what I found most interesting was conversing with my local guide about how he grew up and the sheer toughness of his fellow canyon dwellers. His uncles carried dozens of heavy metal electrical posts down the steep canyon rim on their shoulders so that their village could have power. Gringos don’t come that tough. 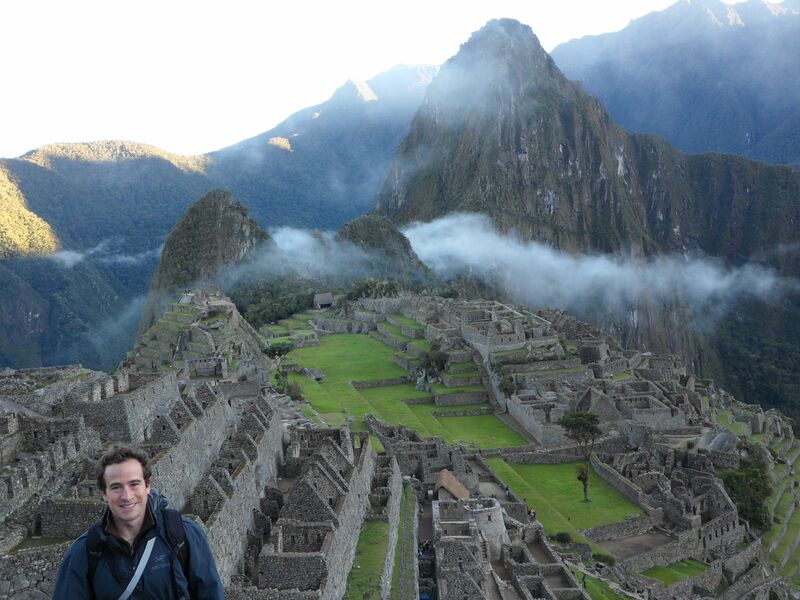 Next on my Peru itinerary was the ancient Incan capital city of Cuzco and the Macchu Picchu ruins nearby. 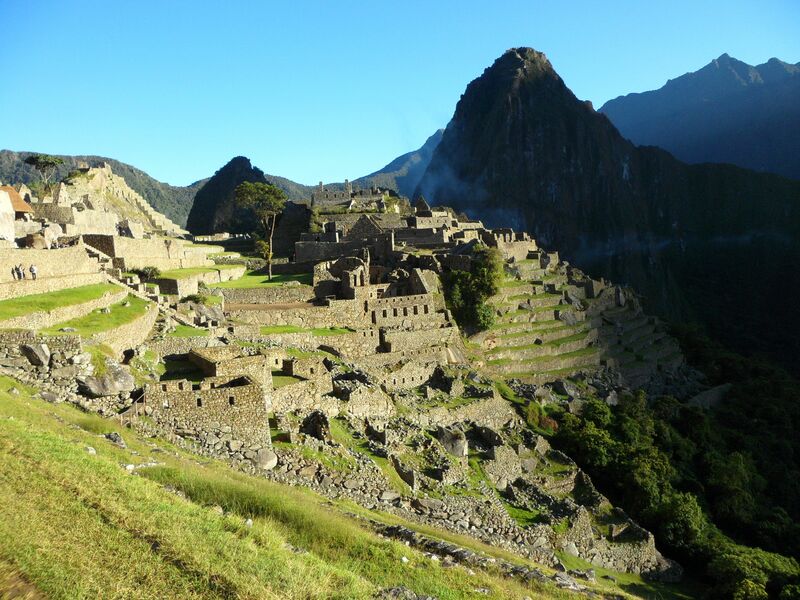 Since Cuzco and Macchu Picchu are the most popular tourist attractions in Peru there is plenty of information about them online, so rather than write about their background and history I’ll instead focus on my personal impressions. Firstly, I considered skipping Macchu Picchu altogether in an effort to keep my travels in Peru more “off the beaten path.” It would have been a mistake. Although arriving at Macchu Picchu isn’t as difficult as it used to be in years past, a train and bus can take you right to the park entrance, the site itself is as magnificent now as it must have been hundreds of years ago. I had seen countless photos of Macchu Picchu in my life but none of them prepared me for the awe and of being there in person. I’m not a very spiritual person, but one can’t help feeling a sense of godliness at this place. I love my nightly rest but was convinced by fellow travelers to wake up at 3:30AM to wait in line for one of the first buses from Aguas Calientes, the closest town to the ruins, to the Macchu Picchu national park. This allowed me to be one of the first tourists to enter the park at its 6AM opening, thus seeing the ruins before sunrise while an eery morning fog still covered them, adding immeasurably to their mystery. Once the sun rose overhead and the fog burnt off they were still magnificent, but I’ll never forget how the site looked and felt before dawn as the cool fog blanketed and moved about through the ruins. 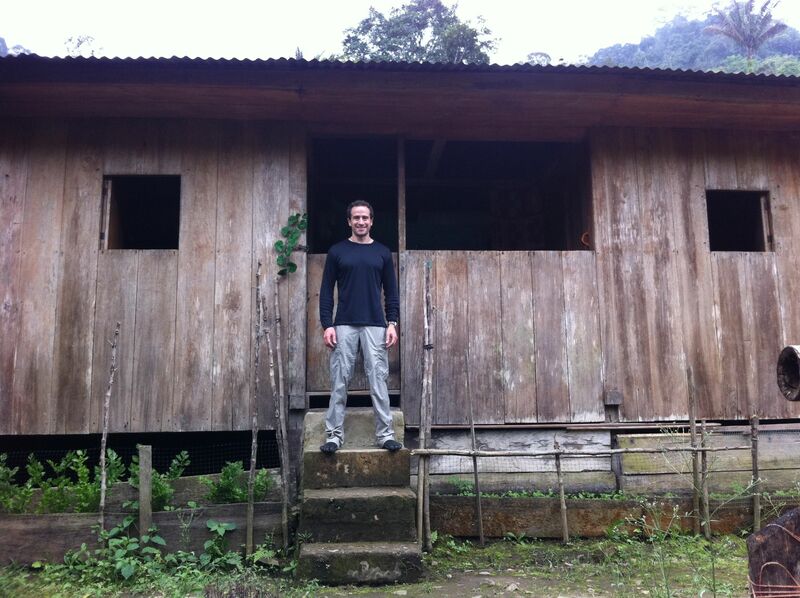 After an adventurous couple of weeks in Bolivia and Peru I was ready to return to modern urban living for a while. I therefore flew right over Ecuador (which I would later visit) direct to Medellin, Colombia. Medellin is quite possibly my favorite city in South America, and if I were to live on that continent it would be a top choice. It’s a thoroughly developed city with excellent shopping, nightlife, museums and restaurants, but has an undeservedly negative image amongst many Americans. Unfortunately, whenever we’ve heard the word “Medellin” in the media it has usually followed by “drug cartel.” Indeed Medellin was a violent place throughout much of the 1970’s and 1980’s under the influence of the infamous drug lord Pablo Escobar. However by the early 1990’s the Colombian government had successfully dismantled the cartel, leaving in its wake a beautiful, safe and modern city. The drug trade brought countless lost lives and hardship to the paisas (Medellin locals), but ironically it also brought great affluence to the city which is evident in its advanced architecture and infrastructure. Despite the difficult times that the paisas have endured, they remain very friendly and welcoming even by Colombian standards, which is saying a lot. It’s also no secret that paisas are amongst the most beautiful people in all of South America. 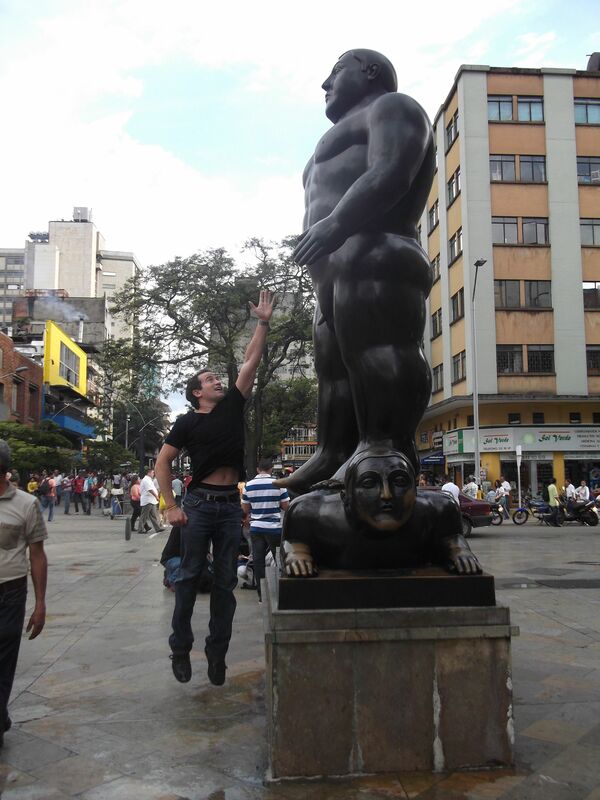 If you already live in a fantastic city like Medellin, where do you go on vacation? 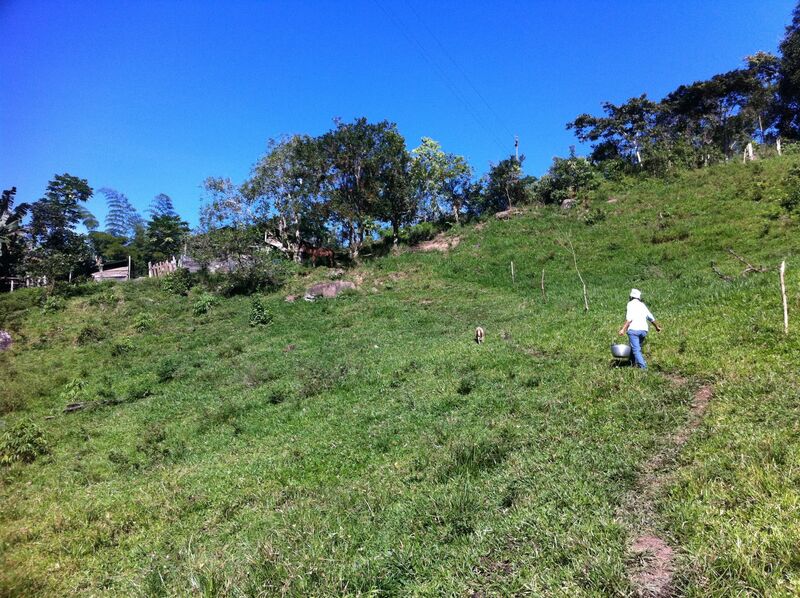 The answer for many Colombians is the zona cafetera or coffee-growing region. If you’ve ever drank Colombian coffee, and you probably have, there is a 50% chance it came from this picturesque region of the country. 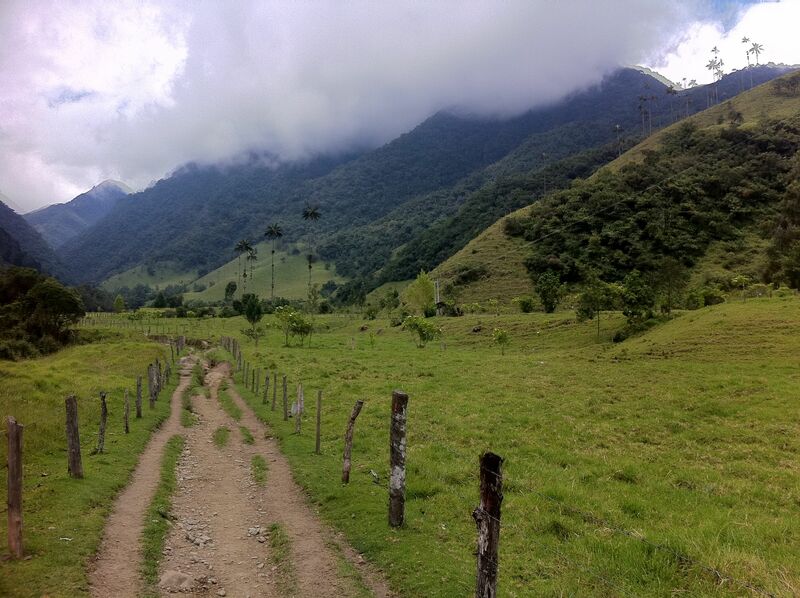 Unfortunately much of this agricultural area used to be off-limits to foreign tourists due to the risk of kidnapping by the FARC, Colombia’s most prominent guerilla organization. However since the presidency of Alvaro Uribe, a very popular hard-line Colombian president who led the country from 2002 – 2010, the zona cafetera has been under government control and perfectly safe. 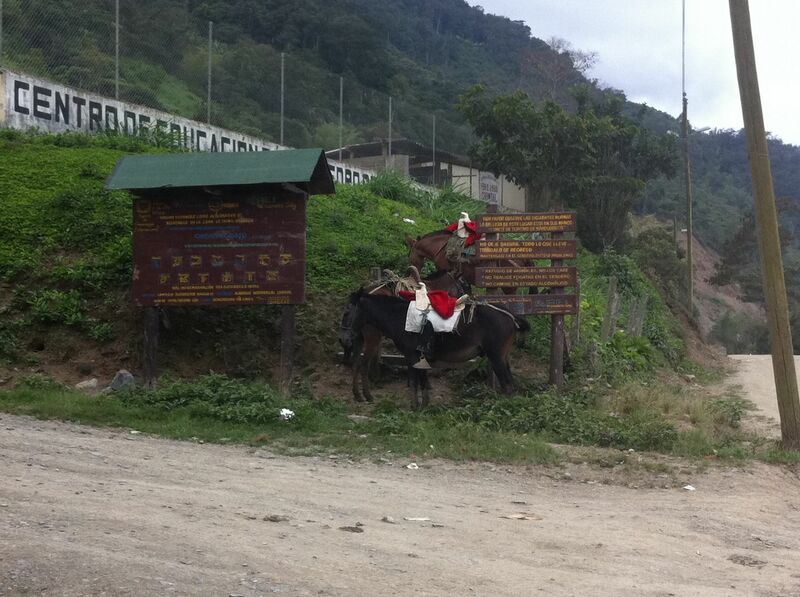 One still notices Colombian military personnel stationed every few miles along the major roads, but not to worry — they’re only there to remind the FARC who’s in charge these days. In the zona cafetera I stayed in the town of Salento, one of several in the area and the most beautiful from what I’ve observed. It’s a favorite amongst the zona cafetera‘s tourists, mostly Colombian, for its location near the Cocora Valley and quant, small-town feel. The highlight of my time in Salento was a horseback ride through the magnificent Cocora Valley, surrounded by green hills perfectly accented by tall wax palm trees. I also visited a local coffee plantation and learned nearly enough about the coffee production process to start my own finca one day. Next I visited Cali, another major Colombian city. Cali isn’t as popular as Medellin or Bogota with tourists, as there isn’t much to do there other than dance salsa (it’s self-proclaimed salsa capital of the world) and visit the Cali Zoo, which is quite impressive by the way. Cali has warm and friendly locals though, and you haven’t really seen salsa until you’ve seen it danced by a caleño. The highlight of my time in Cali was actually a few days at Lake Calima, a beautiful lake located some 100km outside of town. Calima is virtually unknown amongst foreign travelers and even most Colombians haven’t heard of it unless they live in Cali. If you’re into sailing, windsurfing or kitesurfing, you won’t find a better spot in all of Colombia. Next on my tour de Colombia was some time in hot and humid Cartagena, a quant and laid-back colonial city on Colombia’s Caribbean coast. Cartagena is popular amongst local and foreign tourists alike for it’s old Spanish forts, high-end bar and restaurant scene, and beaches. 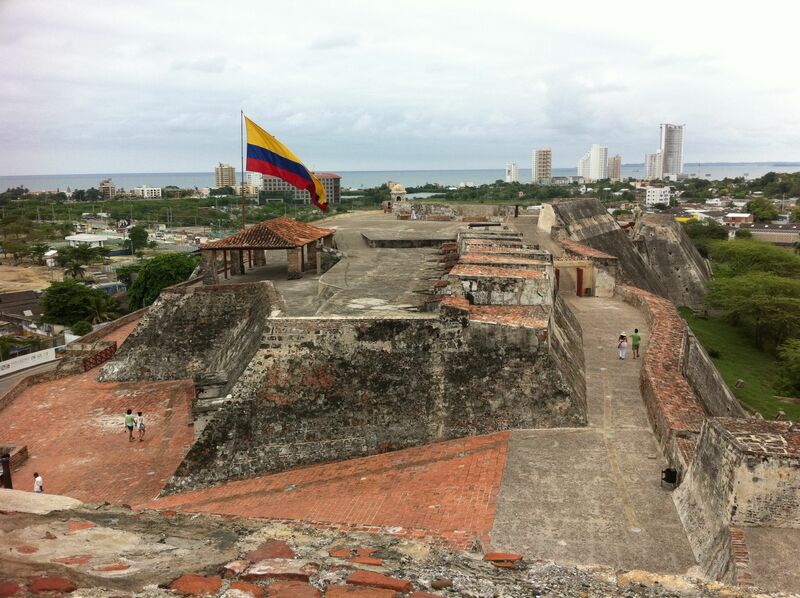 To be honest I’ve seen better beaches elsewhere, so for me the standout attraction was the “old city” within Cartagena’s well-preserved fortress walls. Walking around the old city feels like stepping back in time, and in fact some of the scenes in the Pirates of the Caribbean movies were filmed there to impart a sense of history. In Cartagena you can’t help but feel more like a “tourist” than a “traveler” but after 10 months on the road I didn’t mind. It was a perfect place to eat fresh seafood, go out for drinks with friends, visit tourist attractions and sail in the bay. If I had to pick one word to describe Ecuador, it would be “underrated.” Before going there all I thought the country had to offer is the Galapagos, and boy was I wrong. I ended up spending about 6 weeks there and never even made to Darwin’s famous isles. I started my journey in Quito, the capital. I had heard several bad things about Quito from other travelers and almost skipped it entirely, which would have been a mistake. The city has a reputation for crime, not entirely undeserved, but this shouldn’t deter someone from visiting it. With a few common sense precautions (don’t wear flashy jewelry, don’t carry an expensive SLR camera around your neck on the streets, etc.) problems can usually be avoided. I spent several weeks there in total and never had an incident. 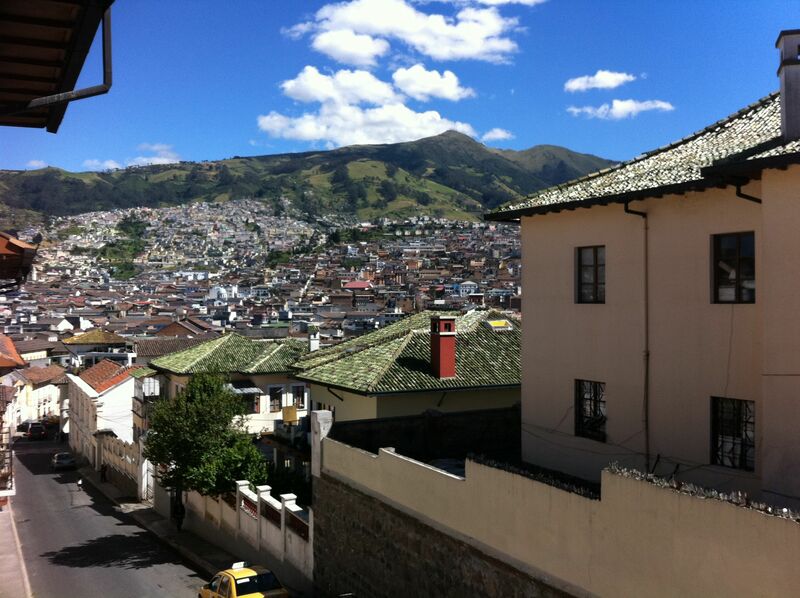 Quito is a beautiful city, chocked full of colorful colonial architecture and nestled high in the Andes. The people there are warm and friendly and there are several fun day and overnight trips in the area, making Quito a perfect base from which to explore the rest of Ecuador. It’s also quite inexpensive — I ate several delicious lunches there for under $2 USD each. One of Quito’s claims-to-fame is its location very near to the equator. In fact, the word “Quito” means “middle land” in the ancient indigenous language of the region — they had figured out the approximate location of the equator long before the Europeans arrived. There is a museum just outside of the city called Mitad del Mundo (Middle of the World) which is located on the exact location of the equator, allowing all sorts of interesting science experiments. For example, we saw how water drains out of a tub in one direction a few meters north of the equator, in the opposite direction a few meters south, and straight down on the equator itself. My favorite experiment was doing a “sobriety walk” right on the equator… the crazy magnetic forces make it almost impossible to walk a straight line, even stone cold sober. If you walk a couple meters north or south of the line it’s a breeze. 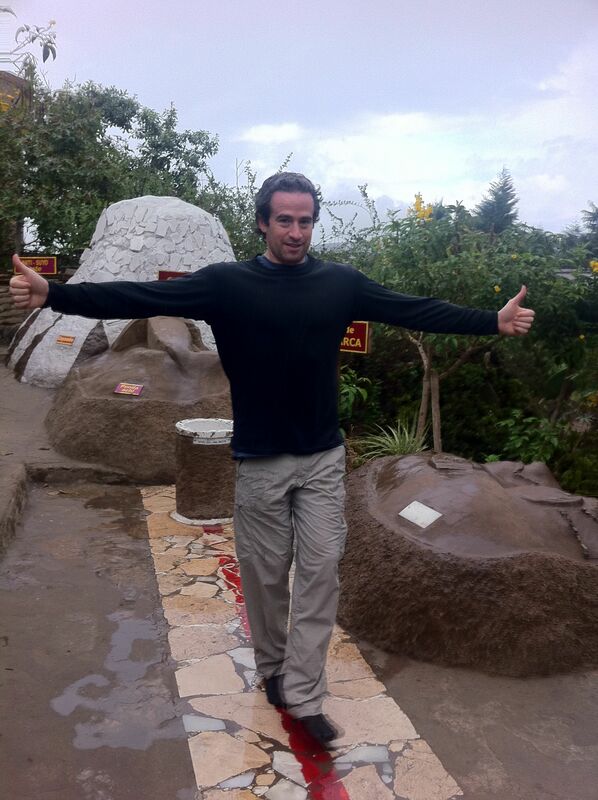 Doing a "sobriety walk" on the equator. Much harder than it looks! From Quito I made several day and overnight trips to nearby towns. There was Baños, a cute town in the sugar cane growing region of the country famous for its tasty sugar cane taffy and beautiful waterfalls. 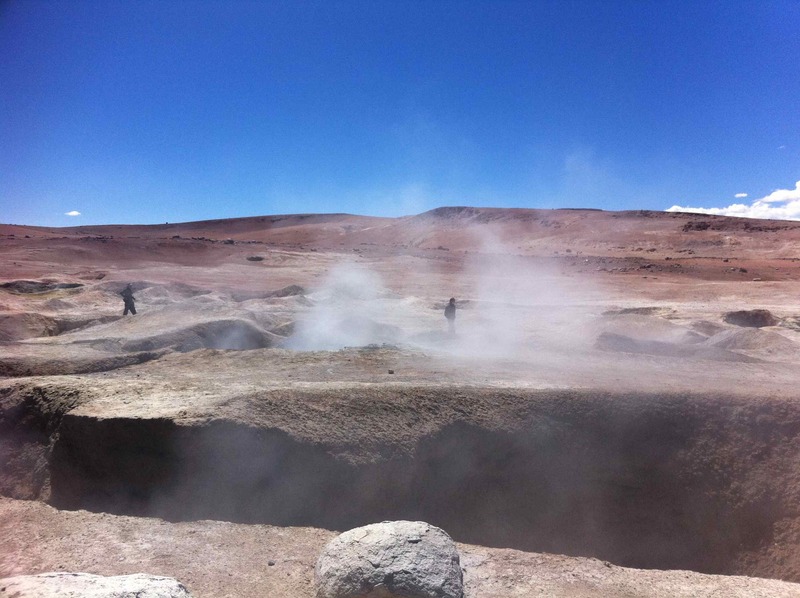 There was also Papallacta, popular amongst Ecuadorians for its relaxing natural hot springs. 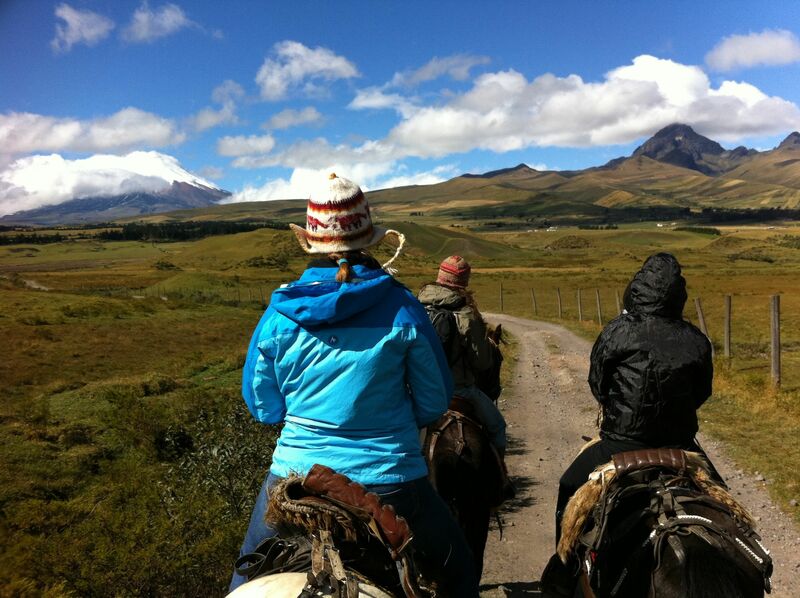 Relaxing Otavalo is best known for its handicrafts market and relative affluence. 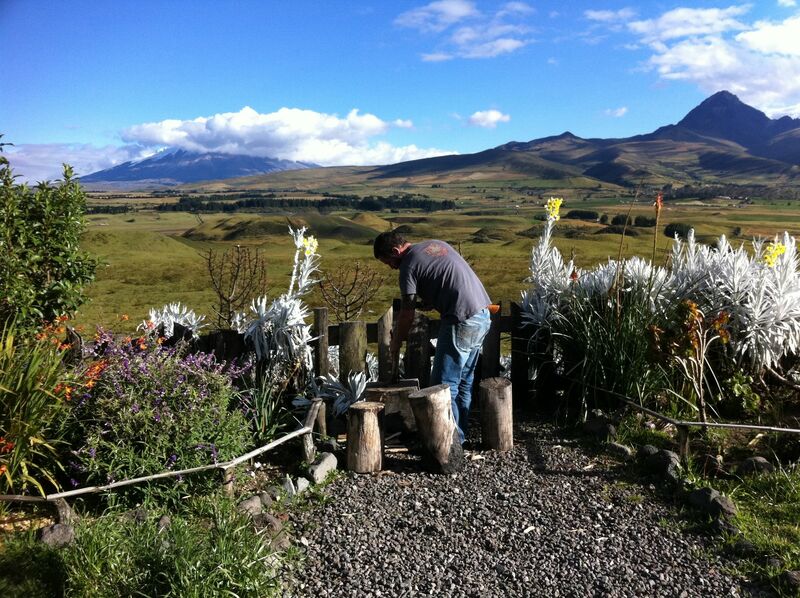 My favorite excursion from Quito was one that unfortunately none of my blog readers can experience: the family farm of my hostel-owner’s wife. After staying in the same hostel for several weeks I became friends with the owner and his family who lived downstairs in the hundreds-of-years-old converted colonial house. They served the most delicious hot chocolate with breakfast there, made from fresh roasted cacao seed, and when I asked where it came from they told me about the family farm of Maria, the owner’s wife. I was eventually invited to visit the farm and shown great hospitality by Maria’s father and siblings, which was a great honor since they don’t normally invite tourists to stay there. This farm was the real-deal. It was very remote, a three hour bus ride from Quito along mostly dirt roads followed by a one hour mule ride high into the hills. The house itself was very basic, constructed with hand saws and basic tools some four decades ago by Maria’s father, now 86 years old and with the health and vitality of someone half his age. The farm is a case study in sustainable living. Located so remotely, getting anything in or out of the farm is an all-day affair so the family has learned to live off the land. They eat mostly fruits and vegetables grown on site, drink milk and make cheese from their own cows, and slaughter their own chickens and pigs for meat. They live without indoor plumbing, landline telephones or Internet, but did find a way to get electricity a few years ago to power lights at night and charge their cell phone. It’s a simple way of life, but quite healthy and serene. At the farm I was taught how to milk a cow, make cheese, and make chocolate from fresh cacao seeds. I’m sure the family was in awe of my ignorance of the basic tasks of rural living. 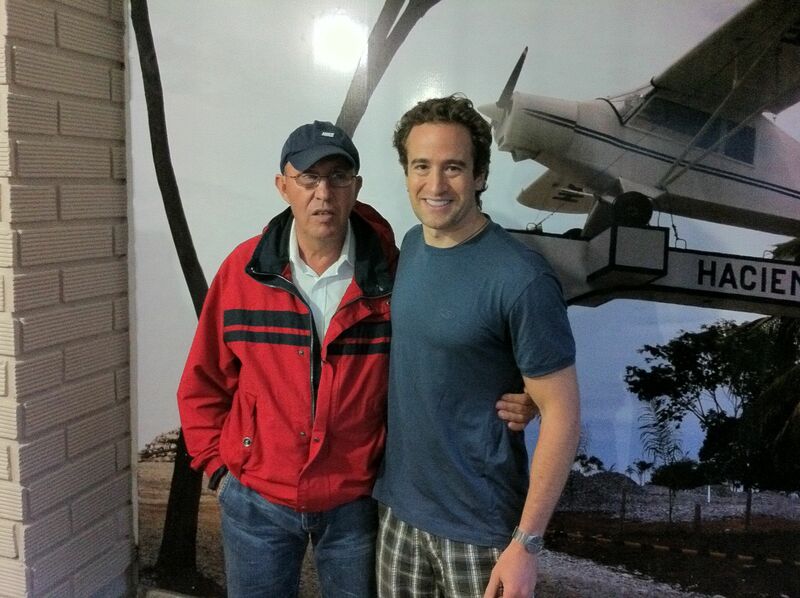 Still, they patiently explained things to me and treated me like a son. The farm house experience would be tough to beat but I saw several other places in Ecuador that gave it a run for the money. One was visiting the Cotopaxi volcano, the highest active volcano in the world at over 19,000 feet and a symbol of Ecuador. Hiking part-way up the volcano was an experience in itself, accented by staying several days in the beautiful rural area surrounding it. Pictures do the experience more justice than words so I’ll be generous with the former and thrifty with the latter. 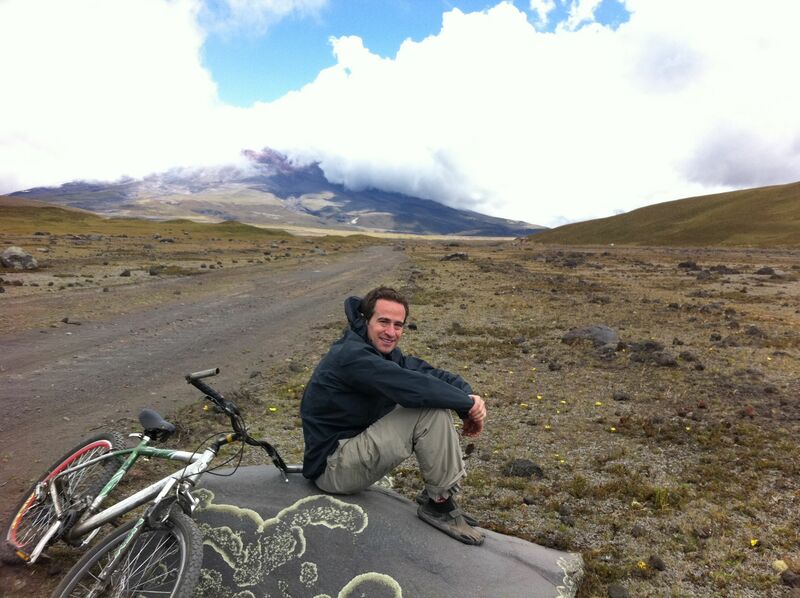 Taking a break from my chilly hike up Cotopaxi. I never made it to the snow-covered peak, which requires an overnight expedition with a guide. My travels through off-the-beaten-track Ecuador continued with a few days in the Quilotoa loop, a remote area of the country surrounding Quilotoa crater lake. This crater lake was created by an exploding volcano thousands of years ago and is a beautiful sight to behold. Getting there is tricky, requiring a series of bumpy rides on public buses filled with rural Ecuadorians and the occasional farm animal (almost everyone living in the area is a farmer.) The destination made the journey worthwhile. 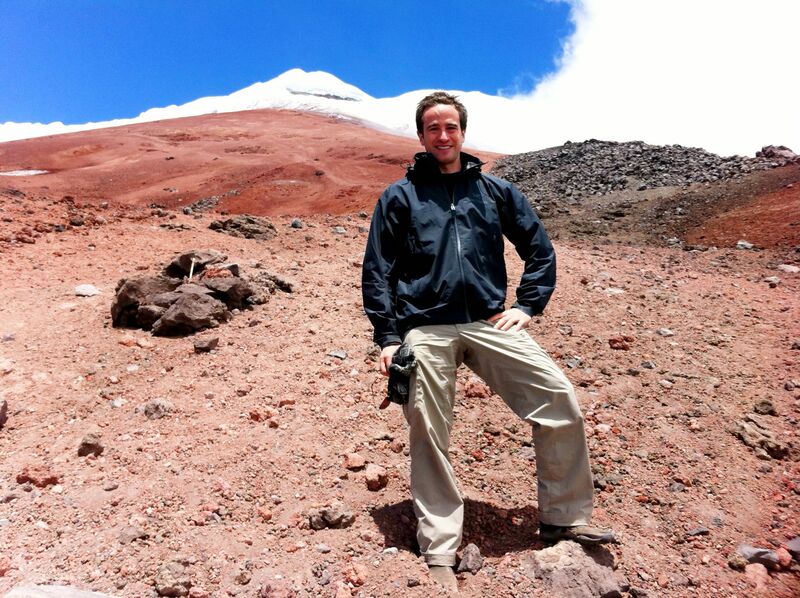 As with Cotopaxi, the pictures tell the story so again I’ll emphasize photos more than words. 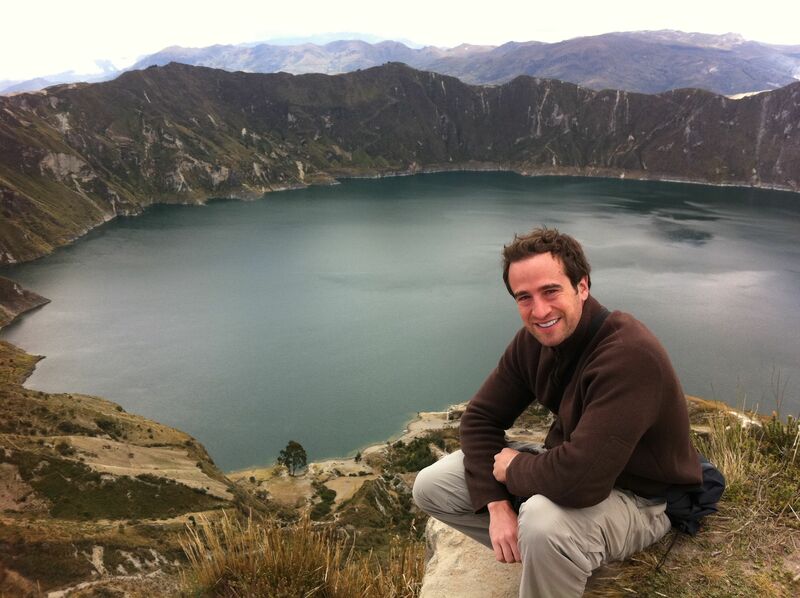 At the rim of the Quilotoa crater overlooking the lake. I spent the next few hours hiking around the rim and back into my village with a local guide. 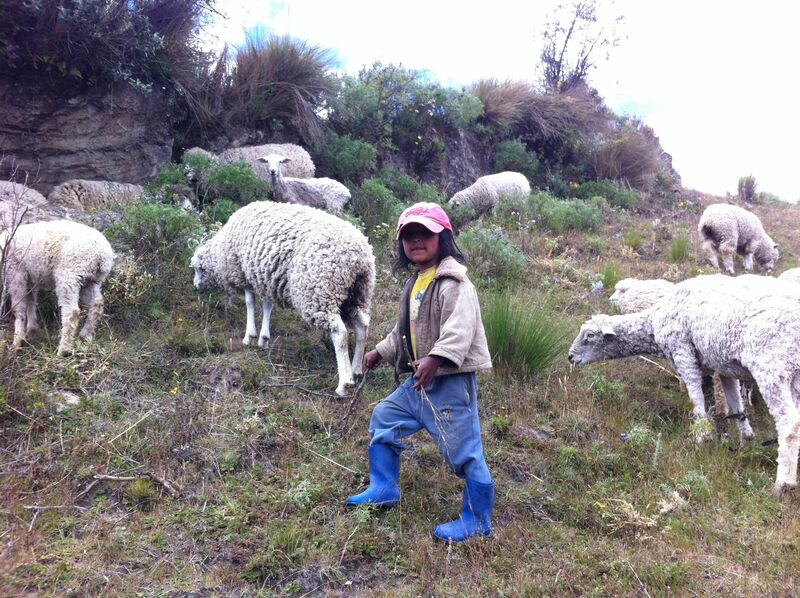 A little girl I encountered and shared some candy with on the trail back the village, as she was tending to her sheep. Must be the world's youngest shepherd. This photo was altered with the Camera+ app on my iPhone but I couldn't resist posting it. 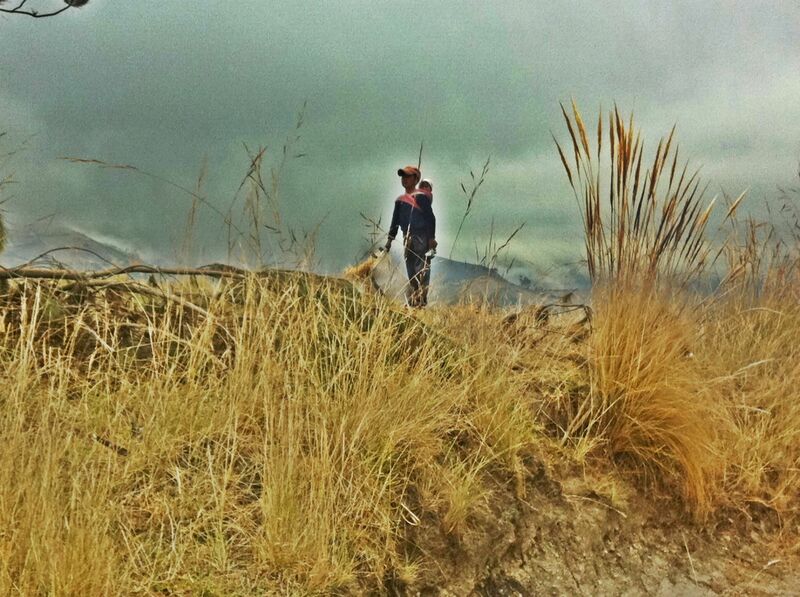 The boy is carrying his baby brother on his back while he harvests wheat. 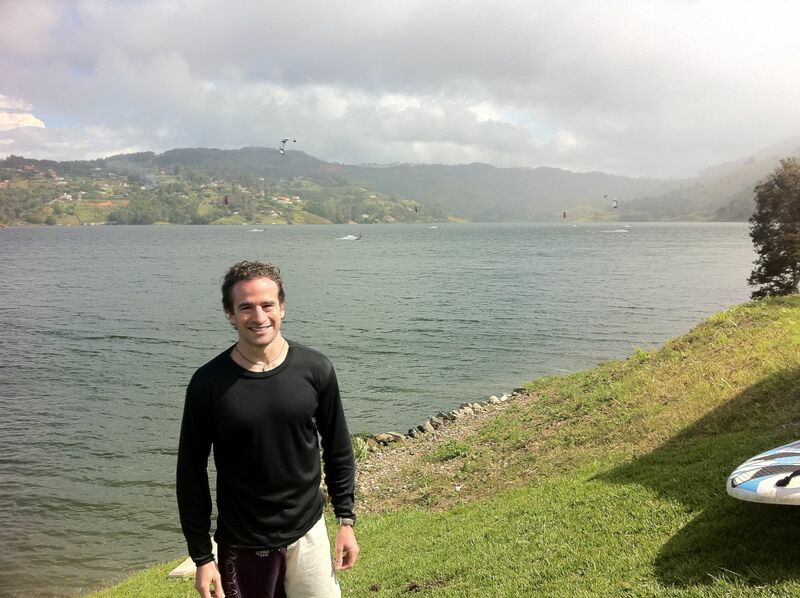 After spending several weeks in the chilly Ecuadorian highlands, I was ready for some beach time. 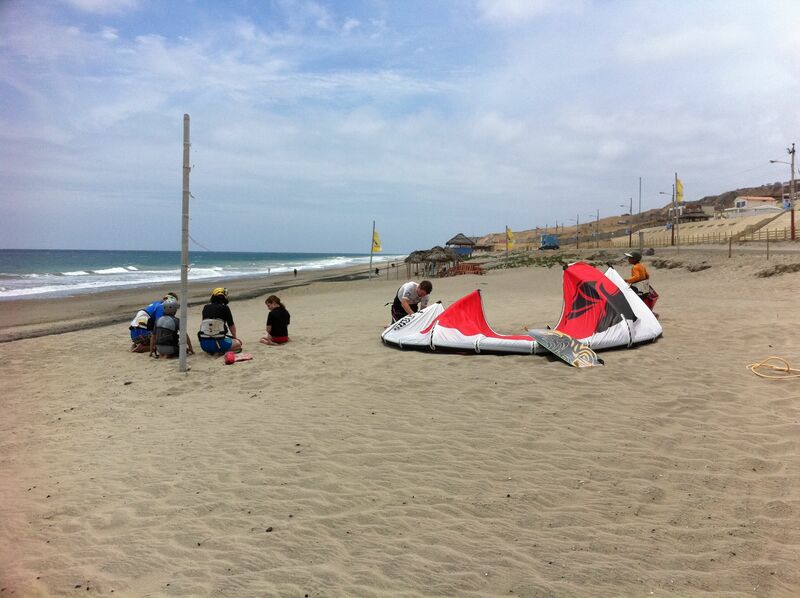 I had learned to kitesurf in Brazil during the 4 months I spent there and was anxious to back on a board, so I chose a small beach town called Santa Marianita about 20 minutes outside of Manta on the Ecuadorian coast. With its strong and consistent cross-shore winds, Santa Marianita is said to have the best kitesurfing conditions on the Pacific coast of South America and it didn’t disappoint. Santa Marianita’s best and worst attribute, depending on your perspective, is that there’s not much to do there other than kitesurf. There’s one basic hotel on the beach, a few small guest houses, and a half dozen tiny restaurants that all serve the same fish and prawn dishes. It’s pretty isolated – if you want to buy toilet paper or groceries you have to drive into Manta. I spent a week in Santa Marianita and kitesurfed almost every day, advancing my skill level from “beginner” to “intermediate.” My only regret from my time there is that I caught a nasty cold, possibly walking pneumonia, that took me over 2 weeks to kick. Note to fellow kitesurfers: no matter how much fun you’re having, when you’re so cold that your teeth are chattering and hands go numb it’s time to head to shore. At last we’ve reached the end of my South American Roundup update. It was a lot for one blog post and I appreciate my readers’ patience. I promise not to let as much time lapse between posts going forward. I’m wrapping up this post from Vietnam, the latest destination of my Chasing Summer adventure. Since leaving South America I’ve spent about a month between Hawaii, Thailand and Vietnam, but I’ll save them for separate blog posts. Until next time! Sounds great. We applaud your adventures, and enjoyed your trip vicariously. Jared, this blog post is incredible! Got some new questions heading your way soon… You’ve definitely convinced me to extend my stay in South America… now to figure out where the f*ck to go from here! Thanks Danny! Bring on the questions, I’m glad to help. If you’re not sure where to head after South America, I highly recommend checking out SE Asia. It’s quite exotic for a Westerner because everything is so different for us (the food, culture, language, art, etc.) It’s also very inexpensive, even more so than South America. It’s also very safe and easy to get around because they’re accustomed to foreign tourists. Jared, it only took me 5 days to snap my resistance cables. But I took the cables back and and the guy was cool and he exchanged them at no charge. But I got those and some whey protein from the store and what a difference! I’m staying one more month in BsAs and then need to figure out where to go next. Rio is tempting with Carnaval around the corner, but I really want to check out the mountains and ocean, and all the natural wonders down here… which are generally in the opposite direction. Also toying the idea of following Che Guevara’s motorcycle itinerary. What do you recommend? Also, what secrets have you learned about booking cheap airline or train tickets? People say that “true last minute” flights are cheap… but whenever I look on Kayak or online the last minute flights seem to be crazy expensive. Is there an cheap alternative to booking flights 3 months in advance? Also – in regards to your SE Asia suggestion… I was planning on returning back to the US after this trip because I am about to launch a new product at http://www.wordpressdesigninstitute.org/ – and was going to return to the states to teach a bunch of seminars / workshops to promote the program. Although… I’m toying with the idea of doing business completely virtual. Do you think it could work? Another idea I had is acquiring UK clients to rein in a stronger currency… but I’m not sure how to go about it. PS Sorry this comment is so long… I know that ‘persistence’ can become ‘annoying’ after a while. But definitely appreciate the counsel you’ve lent up until now. Danny, sorry to hear about your resistance bands snapping. You must be a workout monster because I’ve been using mine for about 18 months and only the yellow one (lightest resistance) has snapped. As for where you go next, it really depends on what you’re into. Rio is an amazing city, one of my favorites in the world, but it’s quite intense and ESPECIALLY around Carnaval. However if you’re looking for beach, parties, a unique culture and beautiful people, it’s tops in the world. If you want to see beautiful beaches but prefer a more laid-back vibe, I’d recommend the north of Brazil which is almost like a different country entirely. For mountains you’ll need to head north of Argentina into the high Andes. 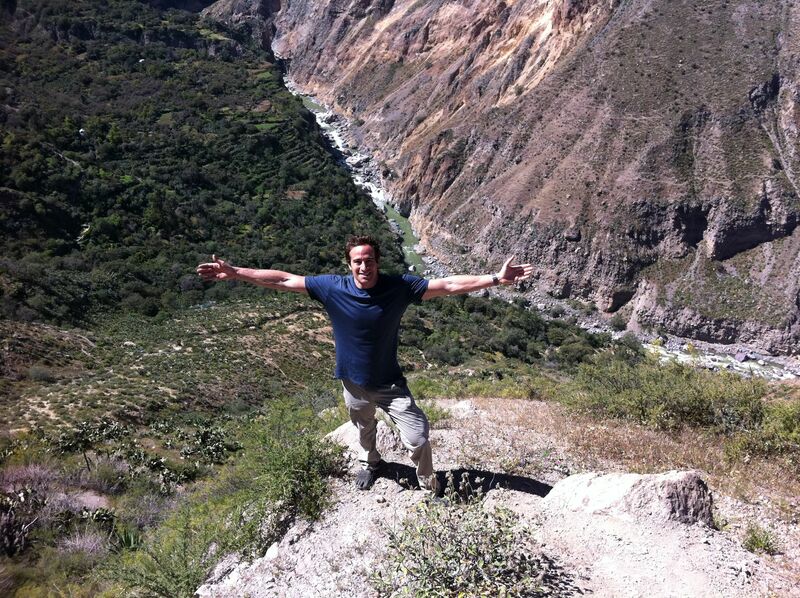 Peru is a must-visit for adventure travel, and Bolivia is pretty cool as well if you don’t mind roughing it a bit more. 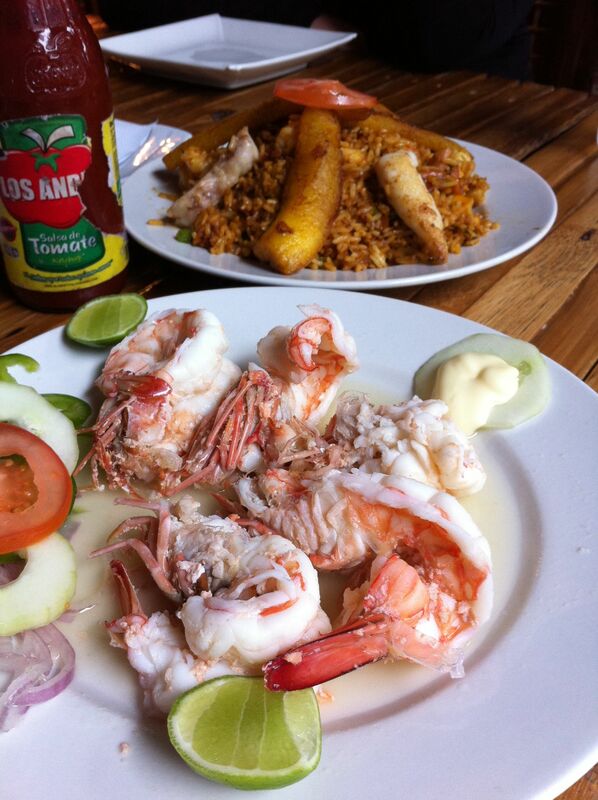 I think Ecuador is vastly underrated… it’s a real shame that most Americans only go there for the Galapagos. Remember that the more you go “off the beaten path” the less english will be spoken, and though sign language works fine for day-to-day needs, speaking good spanish (or portuguese in Brazil) will help you get much closer to the locals and their culture. As for Che’s motorcycle itinerary, all I know about is from watching Motorcycle Diaries. That said, I ran into a bunch of folks biking down the Pan-American highway and they all said it was an amazing, if at times harrowing, experience. I’m glad to join your mastermind group for a meeting sometime if we can make it work with the time difference. Here in Bali, where I’m living now, it’s 13 hours later than ET. Connect with me on Facebook and we’ll take the conversation forward from there. As for booking cheap last minute airfare, the only “trick” I know is asking locals if they know of any low-cost carrier, since many of them aren’t on Kayak. I hope your luck is better than mine though… I’ve paid way too much in airfares. As for doing business virtually, I’m actually experimenting with that personally as well, trying to setup my next business 100% online for the low overhead cost and geographic freedom that it affords. 37signals has done it with great success, as have many others, so I know that it’s possible but haven’t yet experienced the pros and cons firsthand. We’ll talk soon “offline.” Suerte! Boom! Just solidified my plans to travel to Rio next month. Got several recommendations and decided just to go. Just been hesitant since I’ve been in big city Buenos Aires for two months now (the big thing that’s been keeping me here in the city is the women!!) and looking to decompress from the urban jungle – but a side-trip to Iguazu on the way to Brazil should help with that! I’m sure we can make it work with the mastermind group. I need to touch base with a couple of the other members and will touch base as soon as I can. I’d love to here about your virtual business plan. I use oDesk a lot and think that performing operations virtually can be done with minimal problems – it seems as if developing strategic partnerships without meeting with partners face-to-face and in-person is the biggest obstacle.